Blood, guts, and some of the most blisteringly fast-paced action. No, I am not speaking about an eastern kung-fu flick. I am speaking about Super House of Dead Ninjas. Super House of Dead Ninjas is a hard game to explain. At first glance, this game looks like a generic browser-based flash game, and that is partially true. SHoDN did start out as, you guessed it, a browser-based flash game. 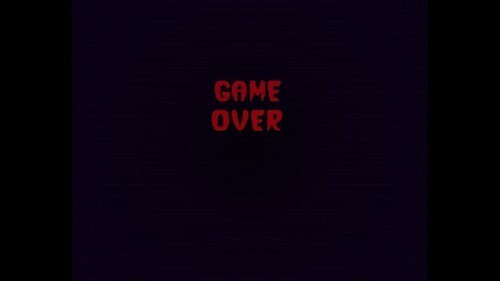 But there is a difference from what one may first perceive this game is. Super House of Dead Ninjas became an extremely popular flash game, and with good reason. Within recent years, Adult Swim Games has been hiring indie developers to create games for their website. Out of this initiative that we have seen, some really great games have been produced. Luckily for us, some of these games become so popular that they get a full retail release of a game. So let’s get into it. Let’s speak about Super House of Dead Ninjas. Every great ninja game needs a great hero, or in this case heroine. Nintai Ryoko is a ninja that has heard about an interesting legend. A legend of a tower with great treasures and trinkets. But Nintai isn’t interested in riches. Instead, she is interested in the legend of the one person that has made it all the way to the bottom of the tower. Nintai just wants answers. This is where the storytelling stops and the player takes control. Before the player enters a tower, we are subjected to a few weapons and abilities and many tiles with a question mark. You know what this means; tons of unlockable melee weapons, bombs, projectiles, and outfits. These unlockables all make the game play differently. Some weapons have a greater range, but lack the power, while other upgraded versions of some of the weapons add special abilities. Tired of running into spikes? Just use one of your upgraded weapons to break the spikes. After choosing the weapons and other upgrades for your trek through the world’s most dangerous tower, you get dropped right into the action. At first the walls give a basic message on how to do certain moves, but those are very quickly gone. SHoDN isn’t about holding a player’s hand. Instead, this game is designed to allow players to learn strategies on their own. And Super House of Dead Ninjas may do that better than any other game. At first, it is extremely hard to get accustomed to how fast the action is, and how unforgiving the enemy types can be on a player. The most shining moments of this game are when the player can see what floor they are on and notice how much better they have gotten from the previous run. Getting better at Super House of Dead Ninjas is no easy feat. Every tower has a completely new layout. With 350 floors and each floor being randomly generated, it is expected that the player must rely purely on skill, because memory and button-mashing just won’t cut it here. So, now that I have explained what this game is about, now it is time to explain some of the other things that make this title so special. Super House of Dead Ninjas has a truly gorgeous environment. That’s not to say that there are lush gardens of flowers, it’s more of a statement about the 8-bit look with the 16-bit animations. At some moments, enemies will lose their heads whilst being slashed, and other moments those enemies will split right down the middle. The enemies’ animations aren’t the only thing that adds to the style of SHoDN. I am not normally a fan of gaming soundtracks. It’s okay, I understand the booing and hissing. Most of the time, I find myself thinking that the music just doesn’t fit the feeling of a game. In Super House of Dead Ninjas, the music fits perfectly. The music has a great oriental feel to it and also feel perfect for the actions that are happening on the screen. Not to mention that one of the unlocks in the game is the soundtrack itself. Consider this a huge win. 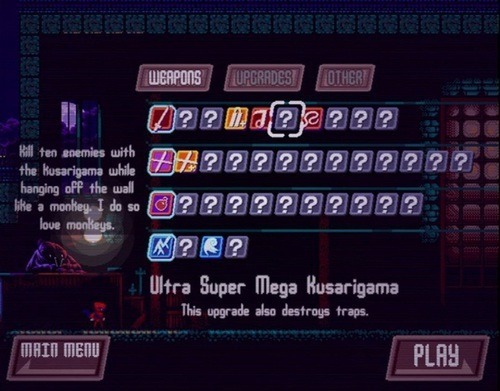 So, what are the flaws of Super House of Dead Ninjas? Honestly, I have been asking myself this a lot, and believe me, there are very few. For a game that still has most of the things that one can still experience in the flash version, it doesn’t add a whole lot of weapons or outfits. In fact, this game adds somewhere around 10 new weapons and 4 outfits. But in return SHoDN adds a new tower for those asking for more punishment. So, with something that could be conceived as negative, Megadev makes up for it with another new experience. I only wish that the new tower had new layouts instead of just masking them with new textures. Nonetheless, for $7, this game is a must-own title. 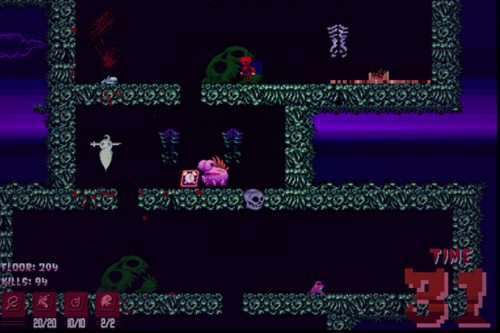 Even with that one minor flaw, Super House of Dead Ninjas is one of the best games that we will see in 2013. Expect it to stay near the top or directly on top of the list when it comes to the 2013 game of the year debates. Follow us on Tumblr, like us on Facebook, subscribe to our podcast on iTunes, subscribe to us on Stitcher!